The coffee table attached was constructed from edge-grained fir and cherry (the ribbon). The design allows things on the table to be swept into the box without having to lift or rotate a lid, which is common. Also, the top halves move, not the legs, which make it easy to open even on carpeted floors. 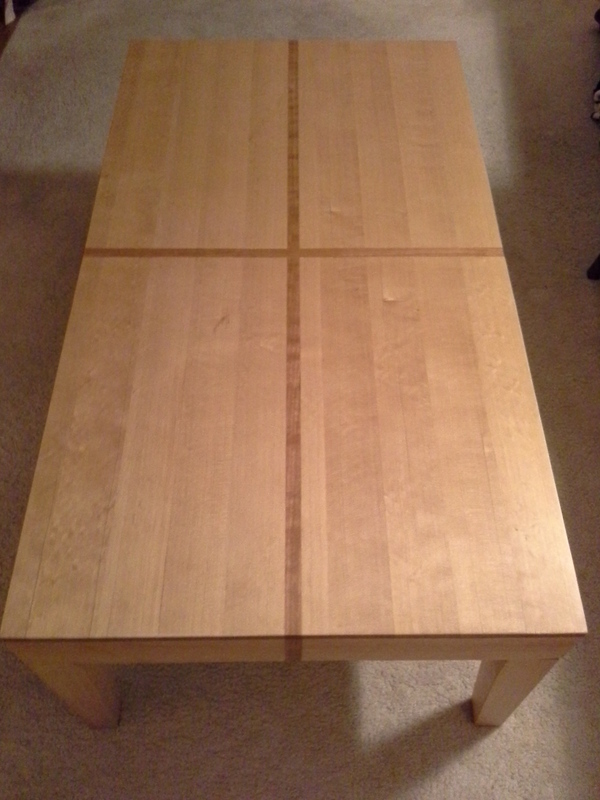 I built the table as a wedding present for a friend who moved away from Vancouver 12 years ago. When she departed she gave me her futon frame which, over the years, I cannibalized and incorporated into this and that. I happened to have one bed slat left when I started this project, so I used it as the central supporting divider. She was delighted to have it back.